Wentworth Miller is best recognized as the TV character who tried to break out from behind bars in the Fox TV series Prison Break. The actor, model, screenwriter, and producer, rose to prominence following his character as Michael Scofield in the miniseries. From odd jobs to minor roles, to his breakout role and most laudable works yet, here is a detailed insight into the Prison Break star’s life and how it dramatically changed. The Prison Break star was born Wentworth Earl Miller III on June 2, 1972, in Chipping Norton, Oxfordshire. He attended Midwood High School, Brooklyn and later Quaker Valley High School, Pennsylvania where he graduated from in 1990. He proceeded to Princeton University1990. He proceeded to Princeton University where he obtained a degree in English Literature. Though Miller never actually thought of pursuing a career in acting, he always had a passion for it from a young age. In 1995, he relocated to Los Angeles where his rocky road to stardom began. Miller made his TV debut in a 1998 episode of Buffy the Vampire Slayer where he appeared as Gage Petronzi, a student-turned-sea monster. After several other minor roles, Miller landed his breakout role in 2005 when he was cast as Michael Scofield in Fox Network’s television series Prison Break. He was the pretty boy of the show, as he portrayed the role of a caring and desperate brother who planned a scheme to help his brother, Lincoln Burrows (Dominic Purcell) escape death row after being found guilty of a crime he did not commit. Following his role as Michael Scofield in the series, Miller rose to prominence and his outstanding performance in the Fox series from 2005-2009 earned him a 2005 Golden Globe Award nomination for Best Actor in a Dramatic Series. After Prison Break, Miller who didn’t want to be known as just an actor conducted an escape of his own by venturing into screenwriting. He made his screenwriting debut in 2013 with the movie Stoker. 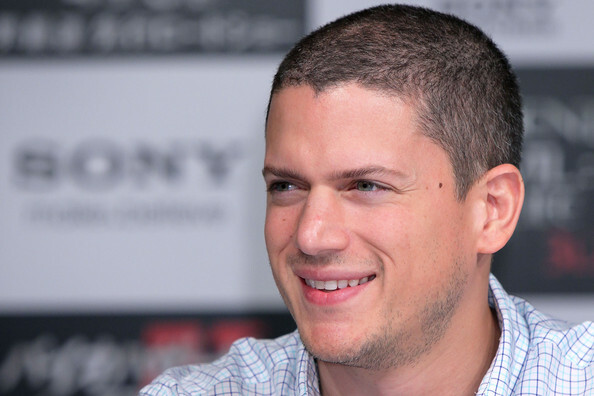 His other notable roles after Prison Break include a recurring role as Leonard Snart/Captain Cold, in the superhero series The Flash and its spin-off Legends of Tomorrow. In 2017, news emerged that Miller would reprise his role as Michael Scofield in the miniseries Prison Break. He is the son of American parents Joy Marie and Wentworth Earl Miller II. His father, a graduate of Yale University is a lawyer and former Brooklyn assistant district attorney, while his mother is a special education teacher. He has two sisters, Leigh and Gillian. Miller’s father is black with an African-American, Jamaican, English, German, Jewish, and Cherokee ancestry, while his mother is white with Russian, French, Dutch, Syrian, and Lebanese ancestry. The actor is named after his grandfather and father, a name all three generations adapted from the character Captain Wentworth in the book ‘Persuasion’ written by Jane Austen. Is Wentworth Miller Gay, Who Is The Boyfriend, Wife? 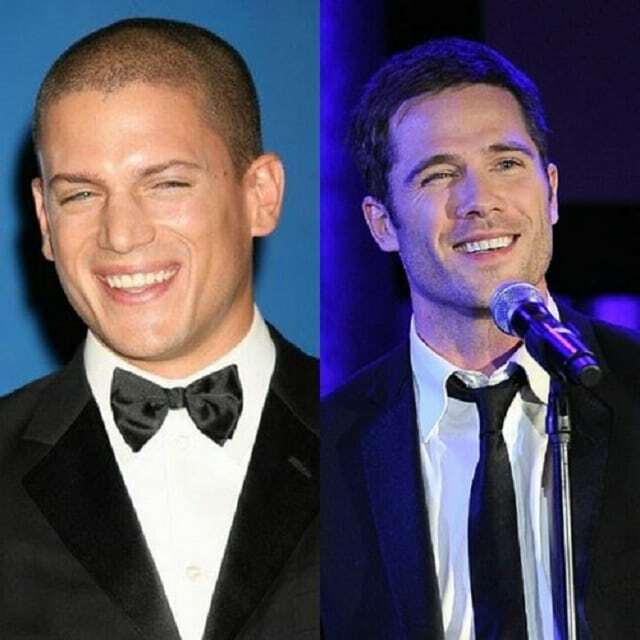 Over the years, Wentworth Miller’s sexuality has been questioned as there have been rumors about him dating a fellow actor, Luke Macfarlane. Though the actors had often been spotted together since about 2007, they have, however, never confirmed the nature of their relationship and if they were ever an item. In several interviews, Miller had avoided questions about his sexuality and had denied being gay. But in a bold move, Miller later shocked most of his loyal and clueless fans with the news of his sexuality. In a letter addressed to organizers of the Russian international film festival, Miller who had earlier claimed to have the desire to someday have a wife and kids came out as gay. In the letter posted on GLAAD’s website in August 2013, which was a response to his invitation to grace the film festival, the Prison Break star declined the offer and explained the reasons for his action. According to him, Russia’s anti-gay laws which violently persecutes his kind were inhibiting him from visiting the country. Interestingly, Wentworth Miller had always known he was gay from a young age but he was afraid to come out of the closet and only a few close family and friends knew about his sexuality. But after 41 years, Miller overcame his fears of a possible backlash and open discrimination by going public with the news. The actor admits that he feared that an open admission about his true sexuality would adversely affect his career as has been the case in the entertainment industry. He was scared of the physical, psychological and emotional prices it may cost him. More so, in a speech at the 2013 Human Rights Campaign Dinner, in Seattle, Washington, Miller revealed that before coming out as gay, he had lived in fear because of his sexual orientation and even attempted suicide several times. But contrary to his expectations of a backlash, Miller’s bold confession was met with praises from various quarters especially among the LGBTQ community. From his many endeavors in the entertainment industry including acting, screenwriting, and modeling, Miller has an impressive career resume. His current net worth is estimated at $4 million, a figure expected to grow in the future considering his profile and other projects still in the pipeline.